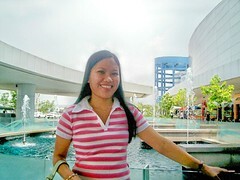 This picture was taken in people's park here in Davao City. This was taken during night time while we were strolling around the park enjoying taking pictures with my friends at the park. 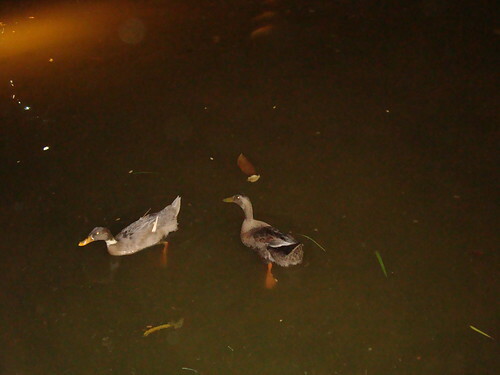 I saw a couple of ducks who are enjoying their swim in a pond. To view more pictures on watery wednesday, just click the badge above. It looks like they were waiting for you to feed them:) Great shot! I do think these ducks want some feeding from visitors. Nice post. Thanks for sharing these ducks with us. The duckies are having some refreshing time to cool off the summer heat. I have heard a lot about this park. It sure looks very pretty even at night. I love the way we can see the ducks' feet in your photo. I can almost see them moving!